A year of two ago, I went to Jaleo- a tapas place- with my friends. They have this endive salad that we loved because it was really light and refreshing. From what I remember, the one in the restaurant had cheese, almonds, an oranges in an endive shell. 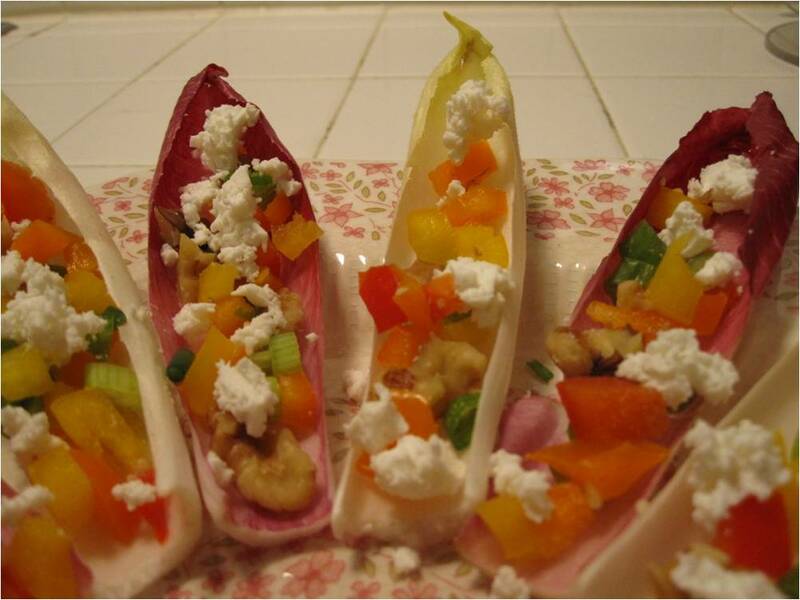 However, based on our tastes, I put multi-colored bell peppers, scallions, goat cheese, and walnuts in the endive shell instead. 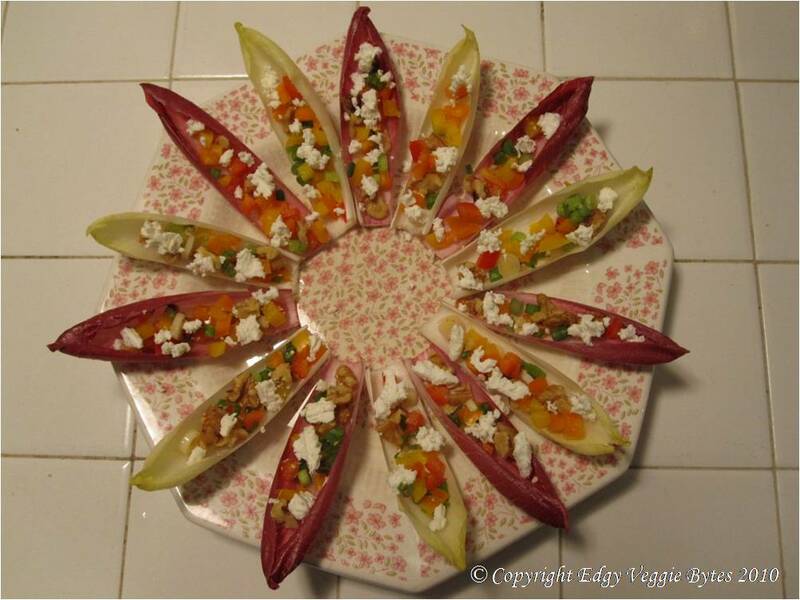 I also like this particular salad because the endive shells are individual pieces that are easy to eat. 1. 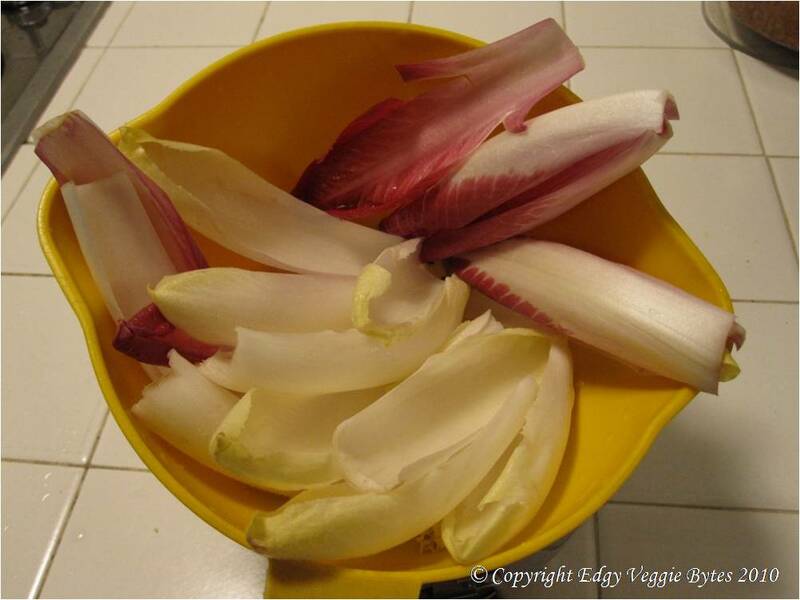 Wash and separate the endive leaves. Drain well. Arrange in the serving dish so they looks like little boats. 2. 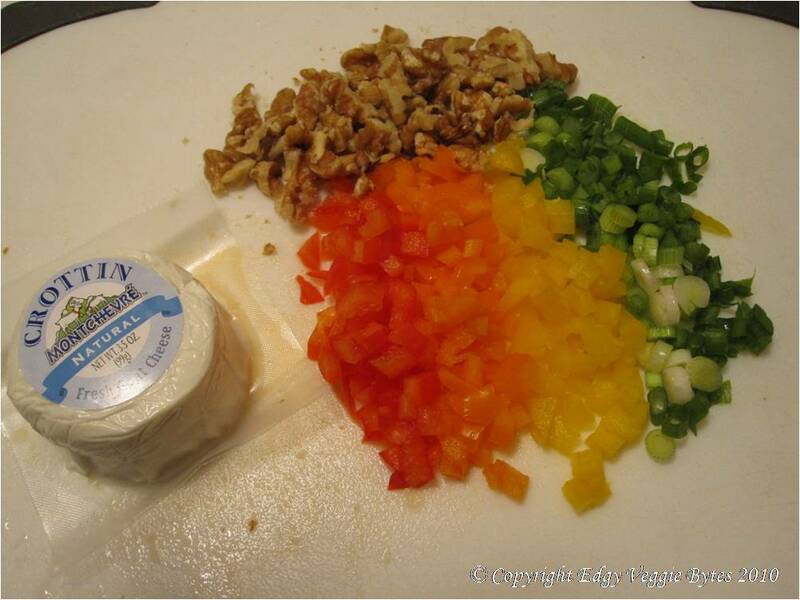 Mix all the bell peppers, scallions, and nuts together in a bowl. 3. Spoon ~1 tbsp of the mixed peppers, scallions, and nuts into the endive shells. Place small clumps of goat cheese on top of the mixture. Drizzle ~1 tsp of citrus dressing over the cheese and mixture. Serve chilled! 1. In a small glass bottle, mix all the ingredients and shake vigorously. Store in fridge until ready to use. I really like goat cheese in salads (crumbled), sandwiches (as a spread), pizza (crumbled), and even just on crackers. I’ll post more as I experiment with it in the future!